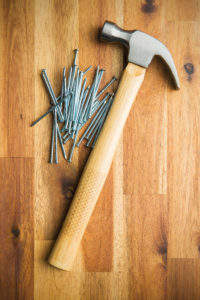 “That nail gun changed my life,” said Nicole Ross. I’m not sure this was the target transformation that most of the leadership team wanted to achieve. 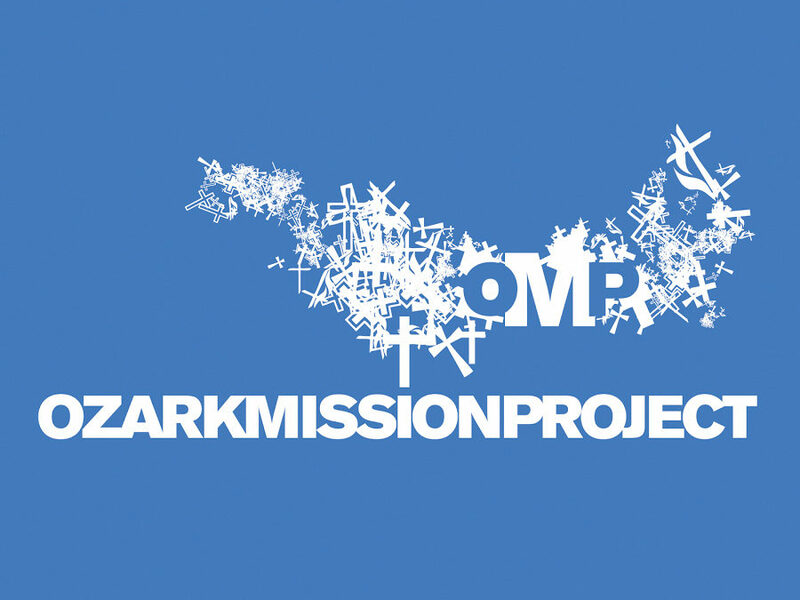 However, it was an indicator of a great life skill that all the college campers of the 2019 Ozark Mission Project (OMP)/Wesley Winter Mission Trip achieved in one short week. Teaching young adults new life skills has always been a secondary objective of all mission opportunities. This year we went to Port Arthur, Texas for Hurricane Harvey relief. The theme for the week was EMPOWERMENT. When I think of my 20-year involvement with OMP, empowerment of youth and young leaders would be near the top of my list of our ministry’s goals. The theme is critical to the experience and is weaved throughout the week into every quiet reflection moment; morning, noon and night. It is important and vital to a successful mission experience. Nothing empowers youth more than the simple act of serving others in need. I was looking forward to the week. True Empowerment has many necessary components. Some of those components were clearly demonstrated this week. I organized them into a mathematical equation for me to process this mountain top experience and share in this missive. Ms. Jenkins of Beaumont, Texas had two feet of water in her neighborhood as Hurricane Harvey began. It was rising quickly, and she was focused on one thing, get her mother to safety! Her husband left work to get as close as he could to her house. He walked two blocks to his home in the rising toxic water. Together, they waded another six blocks to her mother’s house. The focus turned to HOW. How could they safely get an elderly woman to the high ground? They emptied her mother’s freezer and took the door off to fabricate a makeshift boat. They waded through the driving rain keeping their new boat afloat with mom in it. They kept her safe for many more blocks to a fellow church member’s house above the rising water. Her husband had to then return to work. The work we did for seven neighbors was very different from most flood relief. Usually, we are doing the nasty muck work of ripping Sheetrock off the walls and clearing damaged family heirlooms to the street. It is depressing on some levels, and sometimes the neighbor experience is missing. Port Arthur was different. Our projects were in the finish stage; door installation, flooring, and trim. This requires focus to do it right. Unlike the deconstruction work, this work was the final product for our neighbors. It had to be done to the highest standards by unskilled labor. In five working days, 48 college students installed 44 doors and 2000 square feet of vinyl plank flooring. They also painted three complete houses, nearly 40 gallons of paint and did a plethora of other finish tasks. The neighbors were highly engaged with the campers. The excitement of moving back in was palatable to everyone involved. Texas Recovers and Shepherds Inn were our partners for this trip. It was evident that they were focused on more than just the mundane work of providing projects and shelter. They went above and beyond to make sure our experience was meaningful. Jessica and Josh from Texas Recovers were prepared, flexible and adaptive to our needs and the needs of the neighbors we served. Patsy at Shepherds Inn loved on us and attended to our every need. This focus contributed significantly to the success and enjoyment of our trip. Imagine the courage to face your day when one morning you swing your feet out of bed, and they meet 14” of water in your home. Your wife is beside you in bed, and she is fighting cancer. I don’t think I’ve been tested in my life to find enough courage to gather my wits to survive. Our neighbor, Mr. Aldaz, did. He shared that he thought he could take care of his wife forever by himself. With God’s help, he now knows he has always needed help. He worked side by side with our family group, sharing his witness, and inspiring everyone he encountered. We worked five full days for Ms. McCurley who was airlifted to safety with her two sons after four feet of water destroyed their home. The courage to ride in a harness and pulled by a thin line to a hovering machine several hundred feet above the polluted water is unfathomable to me. Where did they get this courage? I’m overwhelmed with respect of the young people that attend these mission opportunities. They make time in their busy lives to go to an unfamiliar place to provide skills they seldom have to people they have never met! They ignore their debilitating shyness, anxieties, apprehensions, and fears. They pour out their hearts to people they just met to hopefully give them some joy and healing. The light emitted from this courage is inspirational and much needed in our world. The young leaders representing Wesley Foundations from U of A, ASU, HSU, SAU, and AR Tech fearlessly ran to an obvious need this week. I’m confident they will show this courage many times in their lives. The city was clean, but it was obvious the people have not returned in the last 18 months. Percy, son of our neighbor Ms. Blake, helped me with my questions. Many of his neighbors had fled Katrina and have now experienced two floods in Port Arthur. “Enough was enough,” he said. We then had an honest and disturbing conversation about speaking truth to power and how poverty has no voice. It rained the first two days of our mission, and all of us walked through ankle deep water to enter the houses we served. Why isn’t there better drainage in these communities? Why can’t there be a lasting transformation in these communities? Percy and I talked about solutions in his neighborhood. His positive outlook and forward strategy gave me some hope. Noon devotionals with our neighbors are an important part of the college mission ministry. I try to structure my workday to attend a different family group each day during the noon break. I’m always impressed by the maturity of the conversation which usually crescendos during the week as each of the campers gain comfort and trust with each other. This is only one of the layers of transformation experienced during the week. During one of these noon devotionals, we discussed “slow and deliberate” versus “mountain top event” spiritual transformations. Is one more lasting? Is one more important? I’m so pleased to be part of a denomination that embraces this type of critical thinking. I’m proud to be a part of a ministry to facilities spiritual transformation. All ministries of OMP and Wesley are a nurturing and safe environment to let these transformations explode into being or slowly mature. I have seen youth, adults, neighbors, and organizers experience a spiritual change in my tenure. In fact, transformation may be the most important parameter of the Empowerment equation. We were transforming lives through serving others in Port Arthur, Texas. We will do the same many more times for we are commanded and commissioned by Christ to do so.